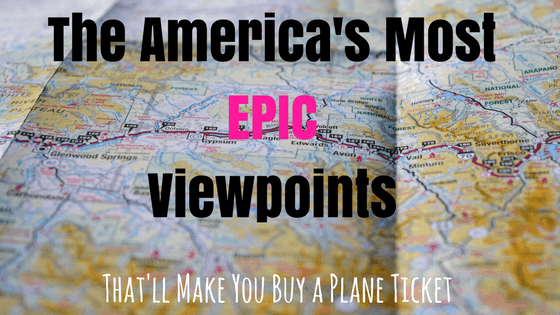 The America's Most Epic Viewpoints That'll Make You Buy A Plane Ticket | Where in the World is Nina? Ah, the America’s… North America being my home country. How lovely are they and all of their amazingness! Unfortunately, my home state of Floria doesn’t really have any viewpoints… It’s so flat, the only way you’re getting a view is if you go on your roof. I LOVE viewpoints, luckily, The America’s don’t disappoint. Here’s are some of America’s most epic viewpoint, but I already know we have only scratched the surface. 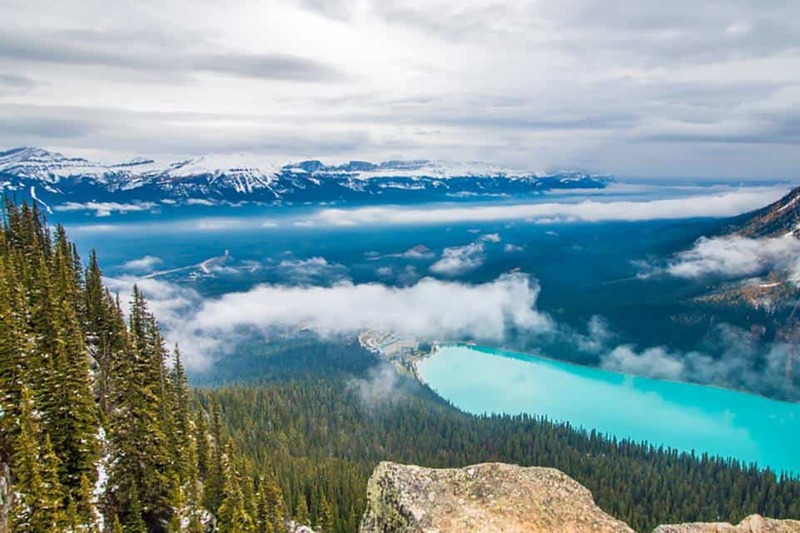 Few viewpoints in Canada are as iconic as the one overlooking Peyto Lake in Banff National Park, Alberta. 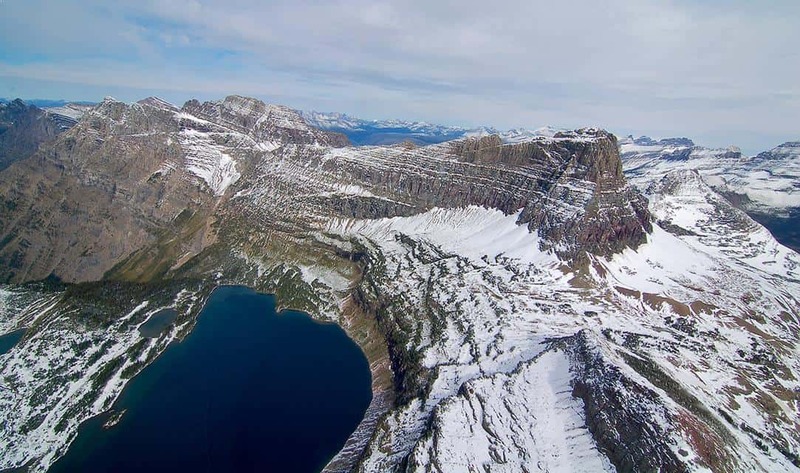 This spot, accessible not far off the Icefields Parkway. between the cities of Banff and Jasper, looks out over a wide valley through the Rocky Mountains. While the viewpoint isnt hard to reach, getting a great shot does require going a little off the beaten path to avoid too much foreground and tourists. 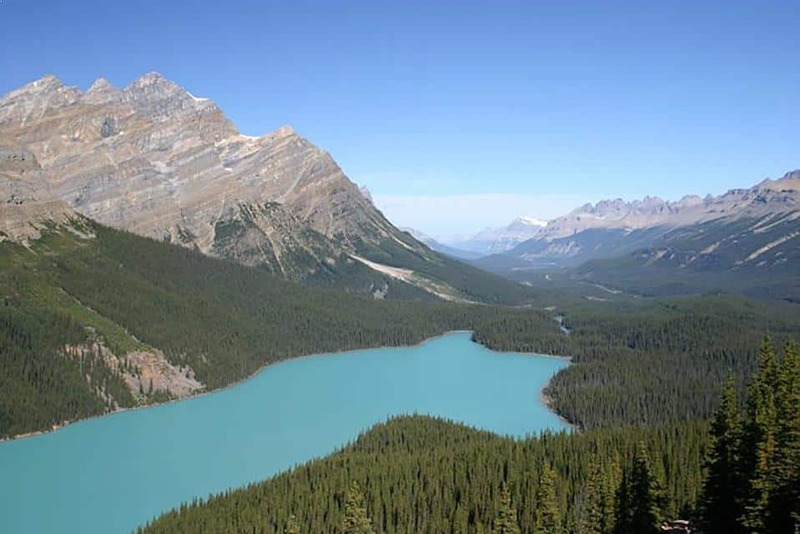 A steep hike down will bring you to the edge of Peyto Lake and more amazing views can be had from hikes in the surrounding mountains and to Peyto Glacier. Views of Peyto lake improve the higher up towards the peak you go, so if youre looking for a great shot, go away from the lake, not towards it. Horseshoe Bend in Arizona is one of the most spectacular view points I have ever visited. 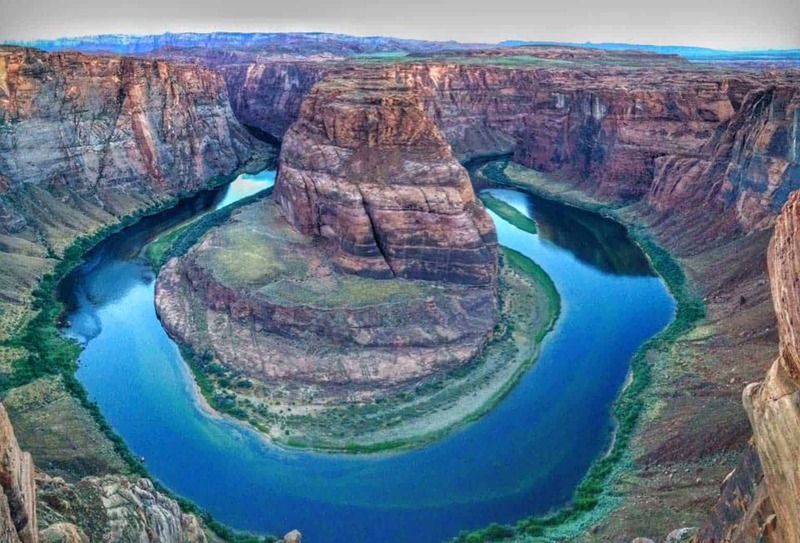 Located in Page, Arizona, very close to the famous Antelope Canyon, this viewpoint looks down on the mighty Colorado River as it curves its way around a horseshoe shaped bend. It’s one of the most photographed places in Arizona and is best visited at either sunrise or sunset. Anyone who’s visited the Grand Canyon will tell you that it is the literal embodiment of the word epic. There really is nothing like getting your first view of the canyon and realizing that no, you’re not staring at a screensaver. You’re staring at real life. One of the most popular (and most epic) viewpoints of the canyon is right by the visitor’s center – Mather Point. It’s the perfect place to get your first glimpse of the canyon. But watch out – it’s also the perfect place to get overwhelmed by crowds. But I guarantee you you’ll forget about the crowds when the view of the canyon straight up knocks your socks off. Got your socks back on? Good. Want to get an even better view of the Grand Canyon? Even better. Head to one of the trails and hike down into the canyon. 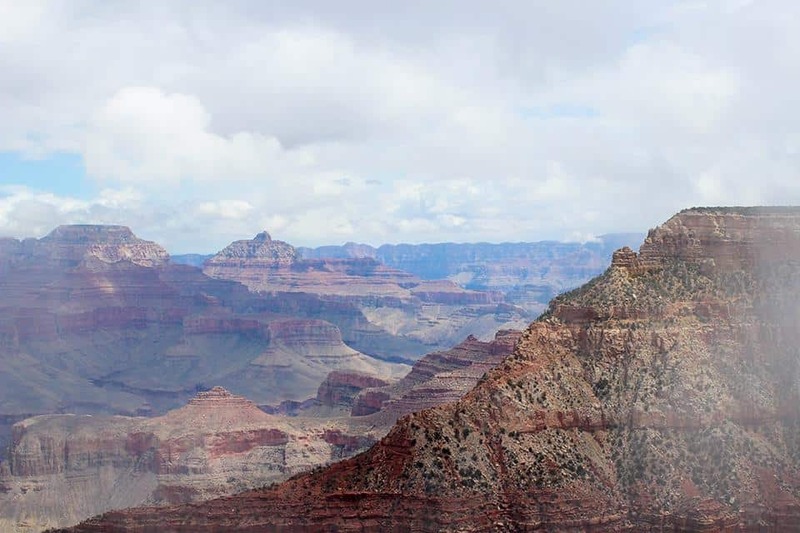 Whether you do the whole thing or only a little bit, you’ll be joining an exclusive club of the 3% of the park’s visitors who actually hike below the rim. And I promise you, that’s where you’ll really get blown away. 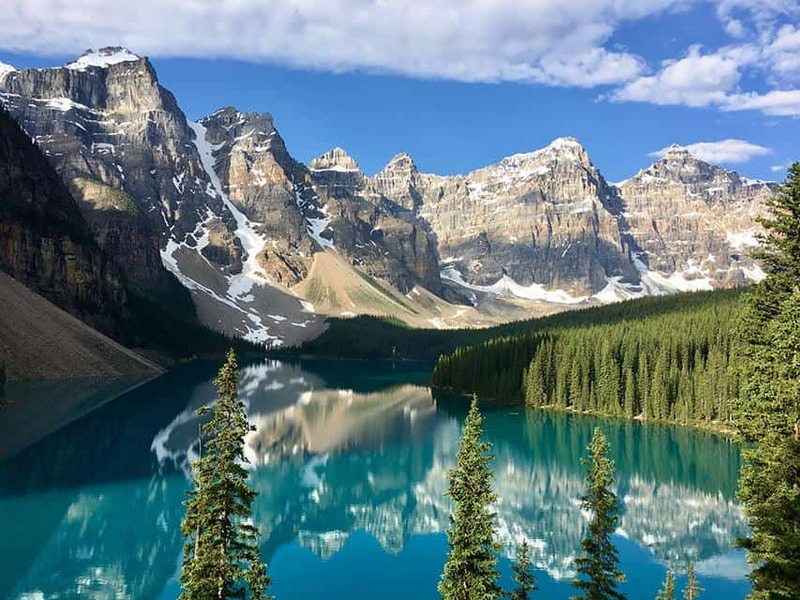 To get there, make sure you set your alarm and be at the Moraine Lake parking lot before 7am. It gets extremely busy later in the day and you may have to wait a long time before you get access to 13km long road to the lake (1 car out = 1 car in). Plus, the best views are when the sun just climbed over the mountains, bathing the lake in light and highlighting its distinctive blue color. Our hike to Little Beehive from Lake Louise was one of the best I’ve ever done. It was a drizzly and early start when we left Lake Louise and made our way towards the famous Lake Agnes Tea House. We were hoping both factors would encourage the crowds to stay in bed. It appeared to work as we only saw a few souls on the way up and made it to Lake Agnes well before the crush that followed. Little Beehive is only about another kilometre up the mountain beyond Agnes. Once we arrived at the viewpoint the snow began to fall, just in time to wind our way back down to cosy up with a hot chocolate. The hike from Lake Louise to the tea house only took us about 45 minutes at a reasonable pace. Wearing layers and hiking shoes or sneakers with good grip will help on the icy stretches and pack some cash for morning tea. Ranking at the ultimate top of my favorite places in the world list, Glacier National Park has no competition when it comes to jaw-dropping views, dramatic scenery and flat out stunning arrays of colors. And that’s just from the floor of the mountainous valley. To take this experience to an entirely new level, get hundreds of feet above the tree line and towering peaks via helicopter. That’s why my husband and I did when our much-anticipated backpacking journey to the remote wonderland beyond the main road was canceled due to an unfortunate early September snowstorm. Luckily our honeymoon trek was salvaged when we decided to splurge on a helicopter tour of the most beautiful landscape in the United States. The fresh snow capping all the mountains just added to the allure, bringing all the blues and greens out while making the air crisp and clear. While I still yearn to traverse the rugged trails of the backcountry, these views will forever delight my senses and give me an unparalleled perspective of the majestic Rocky Mountains and the deep blue lakes they hide between the peaks. There is no place like Bryce Canyon National Park, Utah, USA. It can be described as a forest of stone hoodoos. The colorful, odd-shaped pillars of rock are created by the forces of erosion and can be found on every continent. 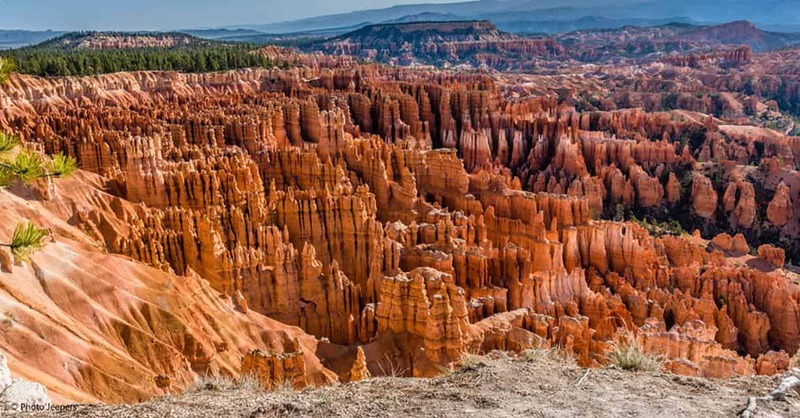 But Bryce Canyon boasts the largest collection of hoodoos in the world! The most epic viewpoint at the park is Inspiration Point. Lower Inspiration Point is the main viewpoint area, but hike the short, steep climb along the Rim Trail to Upper Inspiration Point. It’s worth the effort. This is the view of all views! You can see the full amphitheater of hoodoos and across the entire canyon to the mountains, cliffs and valleys beyond. 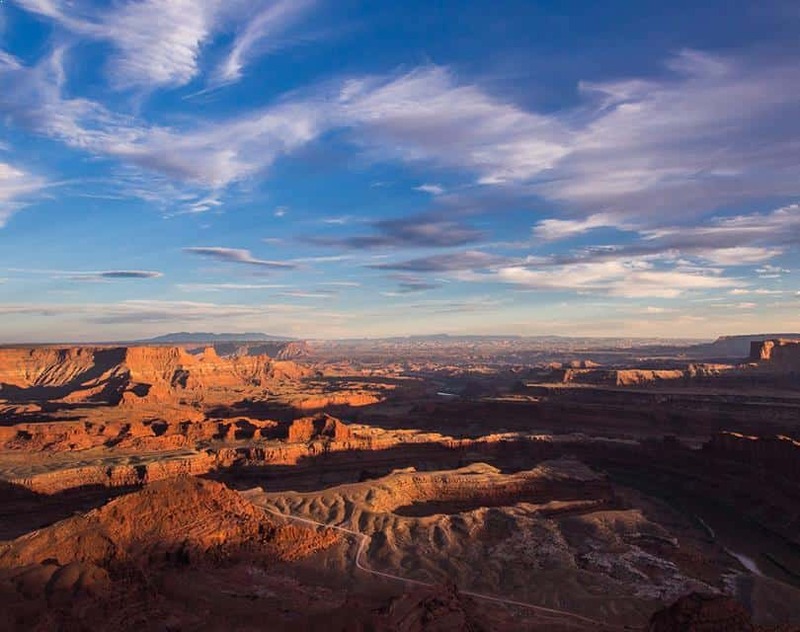 Positioned right between two of Utah’s greatest national parks, Arches, and Canyonlands, Dead Horse Point State Park is a treasure that I had, until recently, sadly overlooked. I only discovered the park on my fourth visit to southern Utah, while scouting for the location of our outdoor wedding ceremony. Clearly, I was already in love with this area, so imagine my surprise when I checked out this park on a whim, not expecting much at all. After all, it was only a state park. I soon discovered that this was a state park to trump all others that I had ever seen! While Dead Horse Point State Park didn’t end up being the place we chose, it certainly inspired the location that we did pick. And even though I knew our wedding wouldn’t be there, in my mind I was always imagining our photos being taken at Dead Horse Point State Park! It’s such a beautiful, special place, not to be missed. Now you know! 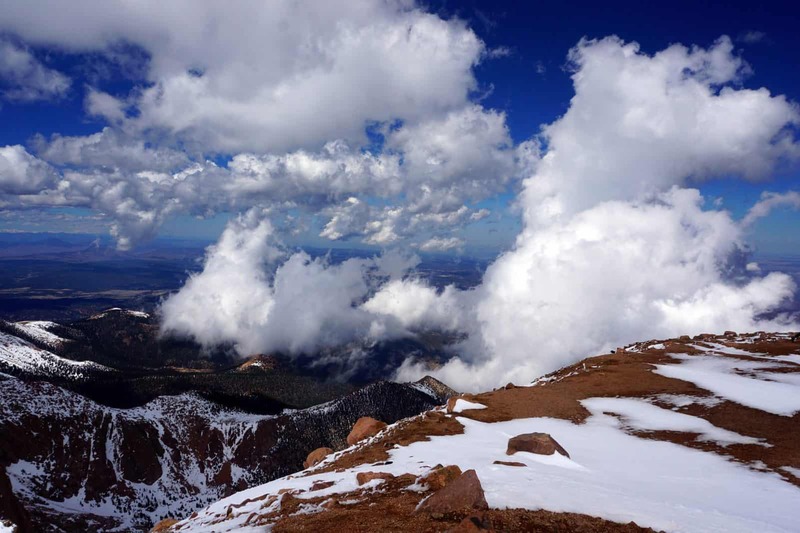 Pikes Peak is one of Colorado’s famed “fourteeners” – peaks over 14,000 feet tall. Visitors can drive a winding road all the way to the top, allowing non-climbers a rare view from a mountain this tall. If driving through switchbacks with sheer drops along the edge isn’t your thing, you can also take a cog railway ride up to the top. Visitors who are in excellent shape can also make the hike on their own. Pikes Peak is located near Colorado Springs, Colorado and is there is a toll to drive the road. Be sure to bring lots of water and sunscreen, and your camera, of course. ‘British Columbia is famous all over the world for astounding scenery, and the city of Vancouver, surrounded by mountains in an epic West Coast setting, is a unique example of a metropolis where urban development nestles amongst spectacular nature. 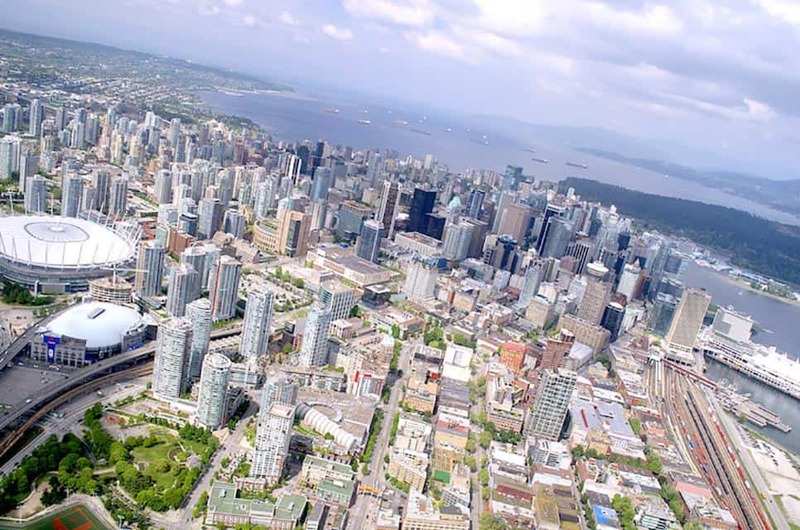 There are plenty of easier and cheaper ways to see the city from great heights – whether from the skytrain network – the city’s answer to the subway – atop Grouse Mountain, Mount Seymour or from downtown vantage points like the Bloedel Conservatory. But as this picture shows, the chopper’s eye view sees you look down on the Vancouver Lookout, along with BC Place, Roger’s Arena and Canada Place, and out to the water of Vancouver harbour and English Bay. If it’s epic viewpoints you’re after then head to the Bruce Peninsula in Ontario, Canada. Located three hours north-east of Toronto, the Bruce Peninsula is home to charming small towns, natural wonders, and endless epic views. While you’ll find many in Bruce Peninsula National Park, located in the northeastern portion of the peninsula, my favourite views are from Lion’s Head Provincial Nature Reserve. Take a hike along the Bruce Trail, weaving your way through dense forest, past geological pot holes, and over the Niagara Escarpment. The trail leads to a breathtaking view over Georgian Bay’s crystal clear blue waters, that will make you think you’re in the Caribbean. Standing on a ledge, 200 feet above those pristine waters, you can look in both directions and see stunning limestone cliffs stretching as far as the eye can see. 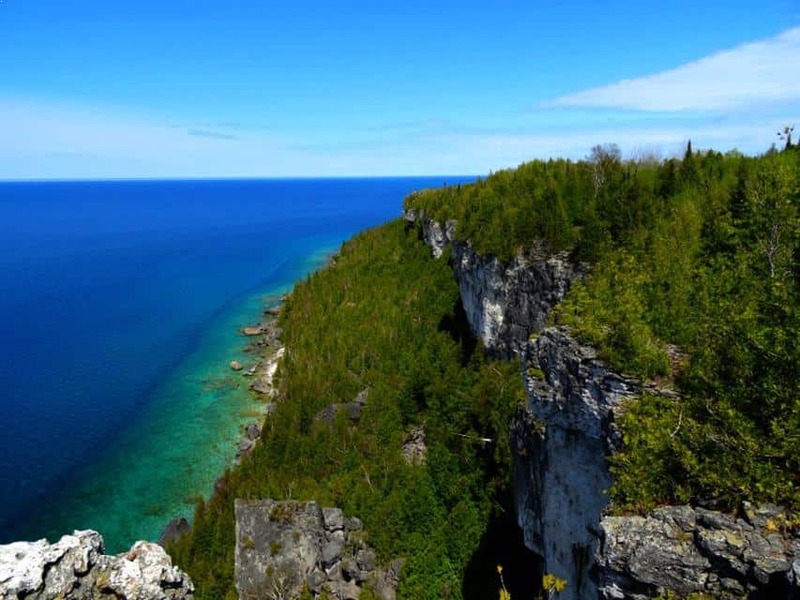 The views from the Bruce Peninsula’s Lion’s Head Park will leave you breathless. 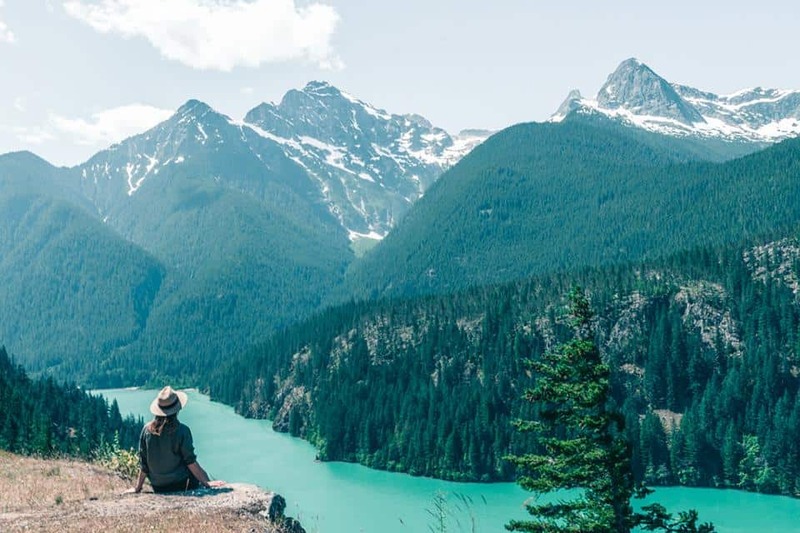 One of the most awe inspiring viewpoints we have seen to date is at North Cascades National Park in the State of Washington in the United States. The spot in particular that took our breath away was the view point of Diablo Lake. Overlooking gorgeous mountains and that unmissable beautiful turquoise water in the lake. Even though there were other people enjoying the view you still feel a sense of serenity and peace while taking in this view that seems out of this world. What’s even better is this viewpoint is accessible to anyone. You can drive about two and a half hours north of Seattle to get to it and drive right up to the viewpoint. No sweat is necessary to take in this incredible spot. People raved about the Empire State Building ahead of my trip to NYC, but Top of the Rock offers the best view of the Big Apple in my opinion. That iconic skyline is undeniably beautiful from up above the noise and chaos of Manhattan. 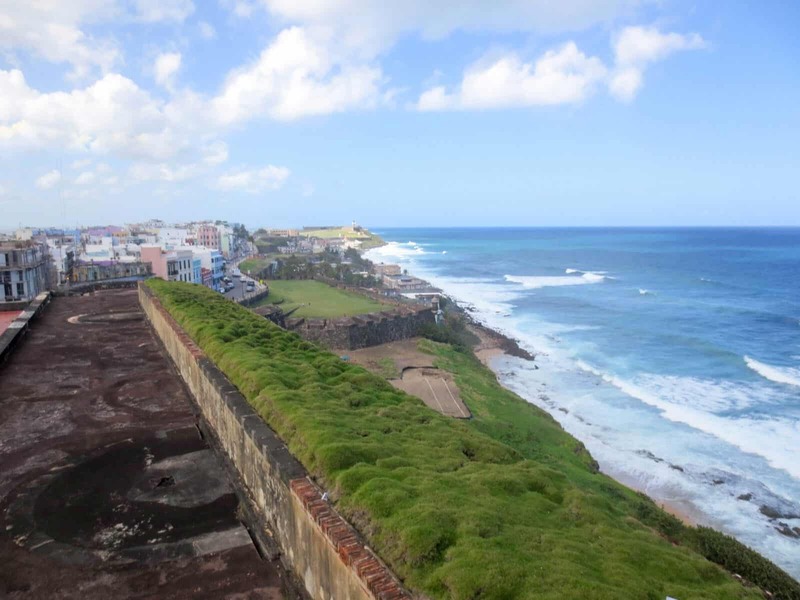 Castillo de San Cristobal is a historic fortress that once surrounded the entire city of San Juan. Today, the area within the fortress is known as Old San Juan, and you can visit what remains as the walls. The fortress is 3 levels high, with underground tunnels running beneath it. Every staircase brings you to an even more incredible view that the level before. By the third and top level, you can see across San Juan, Old San Juan, and the ocean. A portion of the wall can be seen in this photo, wrapping it’s way around the cost. This was one of my favorite places in Puerto Rico, because of the combination of history and amazing scenery. When this fortress was built, it was used to protect treasure, and fend off pirate attacks. The history of Puerto Rico reads like an epic novel, and these walls are what remain. 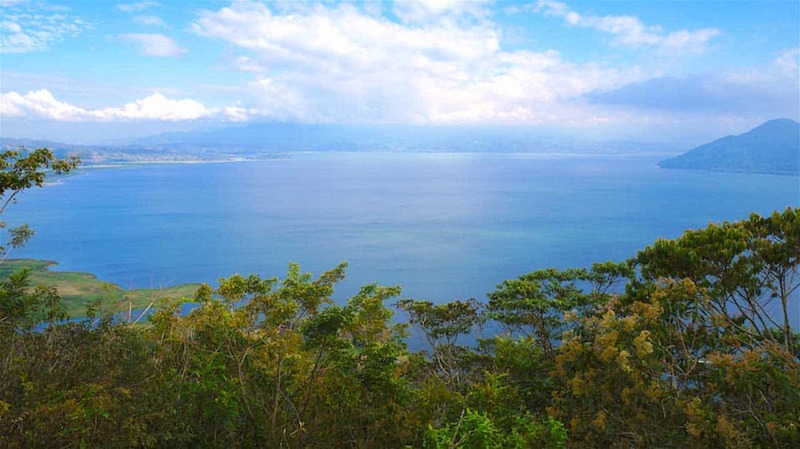 Up high in the mountainous rainforests of Costa Rica you’ll find these amazing views! They are located just off the side of the road along route 606, not far from Monteverde. I was driving from Monteverde to the Pacific coast and just had to take a moment to stop and enjoy the view. 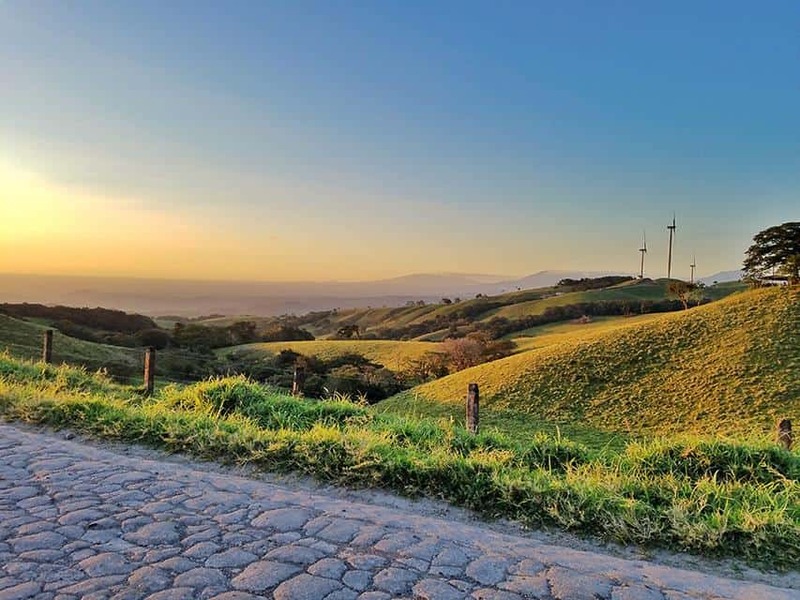 Monteverde is known for having a variety of spots to catch a sunset. So, I was lucky to get a glimpse of it on the side of the road! Be very, very careful when getting out to take photos. Hold on tight to your equipment and don’t stand anywhere near the cliff edge! The wind in this area of Costa Rica is extremely powerful. It whips up on a moment’s notice and knocked me down while I was trying to take pictures! 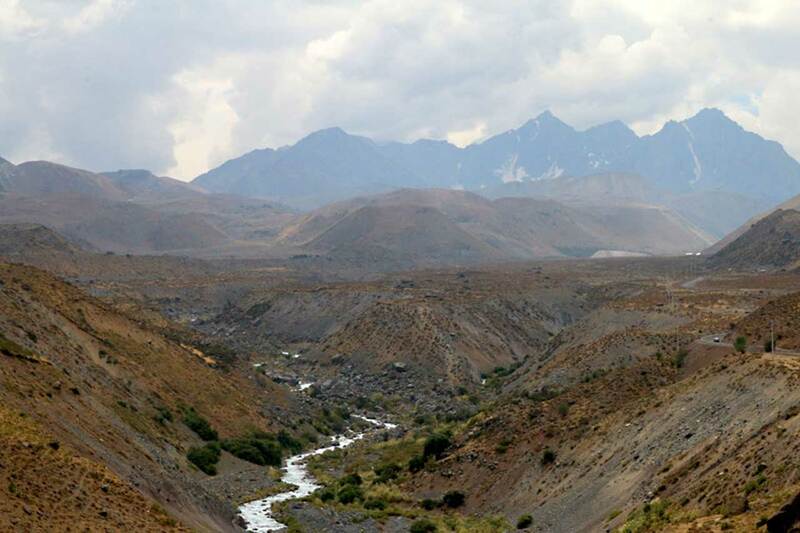 This very remote hiking destination is a real challenge. And I don’t mean the hike itself! I am talking about finding the beginning of the trail… seriously, it took us probably longer to get to the way itself than to hike up to the top of the mountain. And that’s because there are no signs whatsoever or a lot of tourism going on in this little village next to the well-known Lake Yojoa in the South of Honduras. So, after passing by the backyards of the already suspiciously looking people in the neighbourhood, we eventually got to the beginning of the trail. It was absolutely worth the hassle! The hike up to the top takes about 45 minutes and leads you through a jungle like vegetation with loads of banana trees on the roadside. Bring enough water and expect to sweat A LOT, as it is very humid there. Once you get to the top, you’ll be rewarded with a beautiful view over the area and the lake (perfect for a sunset picnic if you carry a flashlight for your way back!)! The pristine turquoise waters of Semuc Champey can be found in the jungle just outside of Lanquín, a small remote village in Guatemala. The limestone cascading pools melt gently into one another creating a picturesque refuge from the sweltering jungle. 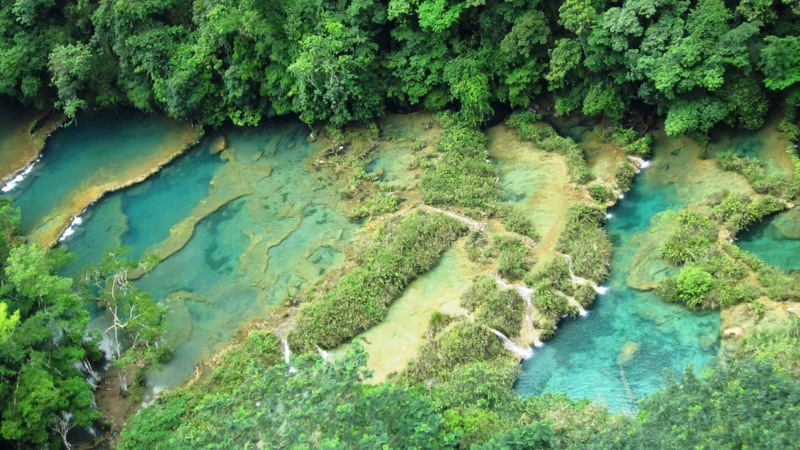 When I first laid eyes on Semuc Champey, I felt as if I had been transported into a fairytale. The cool refreshing waters of the famous Cabahòn river are everything I imagined a jungle paradise to be. Any traveler with a sense of adventure will appreciate the effort required to reach this isolated destination. I continue to return to this magical place because it has stolen my heart. Up until recently, flights to Belize were scarce, expensive and inconvenient due to non-direct routes, which made it a rarity seeing a plane in Belizean skies. Much to my surprise while driving towards Placencia, I saw a small aircraft flying over the banana fields in Stann Creek — so I chased it to its landing spot. 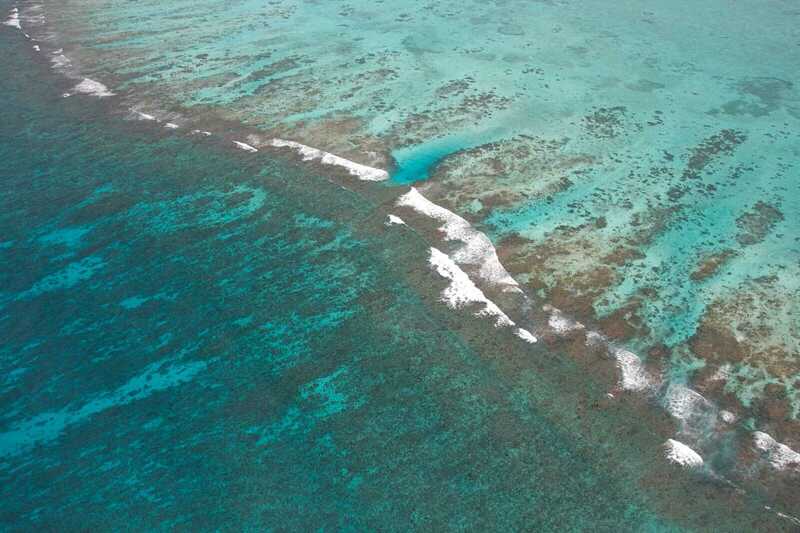 A couple of days later, I was flying above the turquoise Caribbean waters overlooking the Mesoamerican barrier reef, with a 17 year old pilot, a plane from the 1970’s and an open window for my camera to capture the beautiful Belizean sights. This view was not easy to come by, but it was definitely worth it. 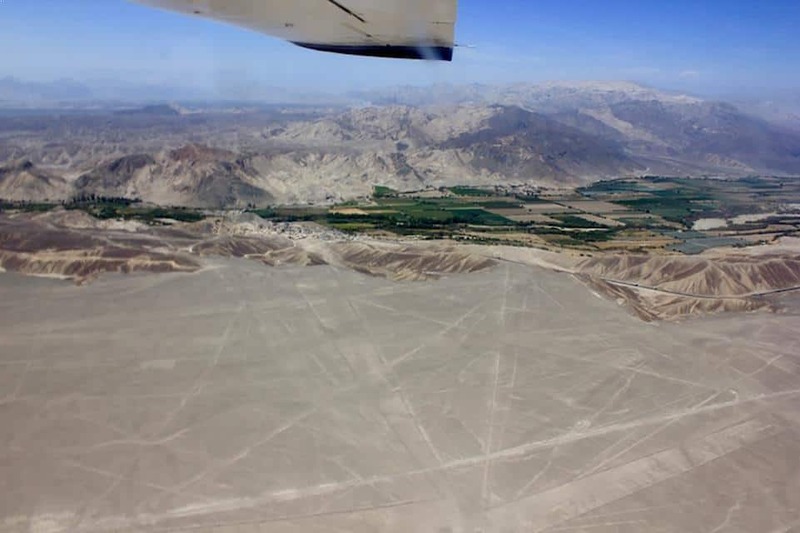 Seeing the Nazca Lines – hundreds of mysterious shapes that were etched into the desert sands of southern Peru around 2,000 years ago – has been on my bucket list as long as I can remember, so I knew I had to swing by when I was traveling in Peru. My friends and I arrived in Nazca early afternoon on a bus from Ica and found a cab to take us to the airplane hanger outside of town. There we paid one of the tour companies $125 each in cash – needless to say, a steep price for backpackers – and soon were led out to the tiniest plane I’ve ever set foot in, a six-seat Cessna. Unfortunately, I was stuck all the way in the back with the fourth passenger, a motion-sick Spaniard (poor guy! ), and there wasn’t much air moving during the flight. But the views definitely made up for the discomfort. For 30 minutes we sailed over the lines, squinting to distinguish the various figures, which include birds, a monkey, a whale, and even a “spaceman,” along with numerous others – as the plane dove left and right to give us a closer look. In the end being able to take in the entire desert landscape and surrounding mountains from the air was just as memorable as finally seeing the lines themselves. La Piedra del Peñol is a well-known landmark rock formation in the Antioquia region of Colombia. Standing 220 meters high and a mere 675 steps, the rock provides stunning views in all directions of the surrounding area. Visitors can climb the steps for 18,000 Colombian Pesos (COP). While enjoying the views up top, there are several snack stands and tables for you to sit and enjoy an ice cream or a beer. While technically located in the town of Guatapé, La Piedra is a short day trip away from those traveling to Medellín. We took a day tour for 79,000 COP per person and it was well worth the trip. 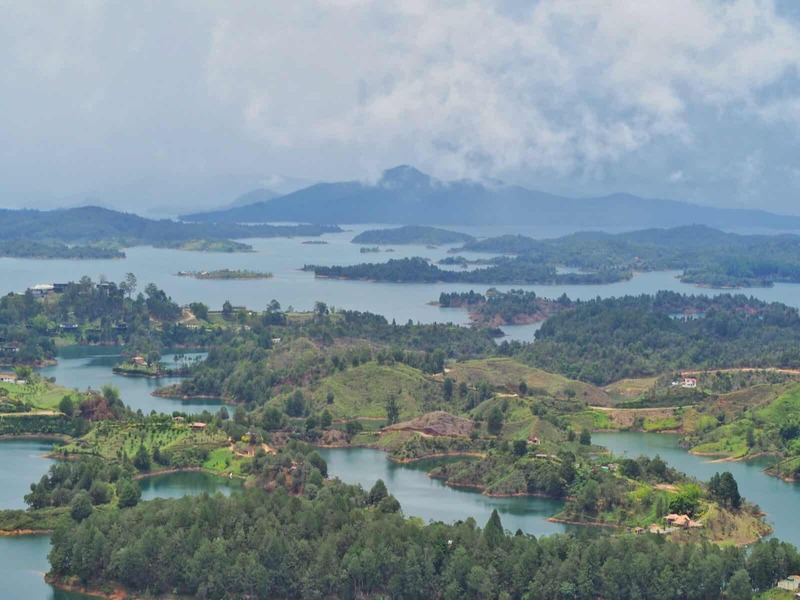 We were able to visit and climb La Piedra, eat lunch at one of the many restaurants located at the base, and even take a boat ride out of Guatapé onto the water seen in the photo. 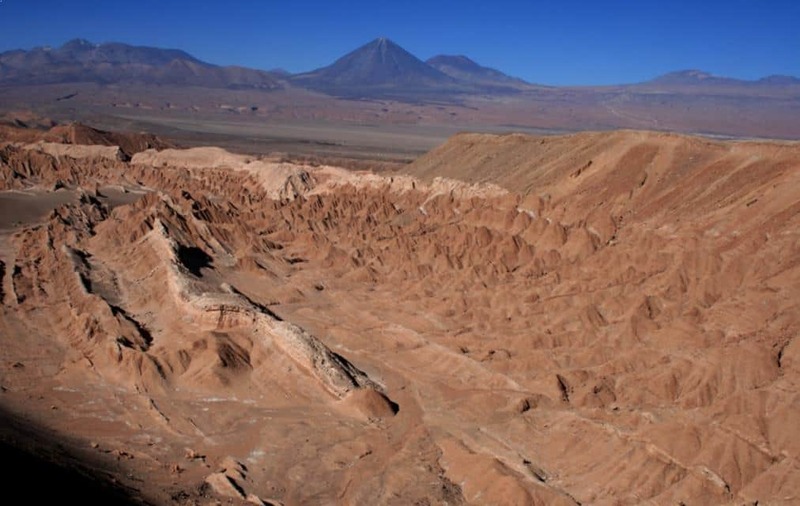 Mars Valley or Valle de la Muerte in Chile really does look like what you’d imagine the surface of Mars to be. The barren, rocky formations of the valley are both as eerie as they are stunning when viewed from above. It’s quite an adventure to get there, first through the tiny desert town of San Pedro de Atacama and then by four wheel drive across the Salt Mountains. The terrain is so rough it was actually used as a testing ground for the Mars Rover before it went into space. Take a shower before you visit – because this is literally the driest place on earth. There’s hardly any rainfall in this area, so forget having a long soak! Pack plenty of warm clothes as it’s a high altitude area and absolutely freezing at night. This place is literally breathtaking. Isla Incahuasi (Inca House island) is in the middle of Salar de Uyuni in Bolivia, a definite must-see if you’re going to the salt flats. It’s a rocky hill that used to be the top of an ancient volcano which was part of a giant prehistoric lake around 40,000 years ago. 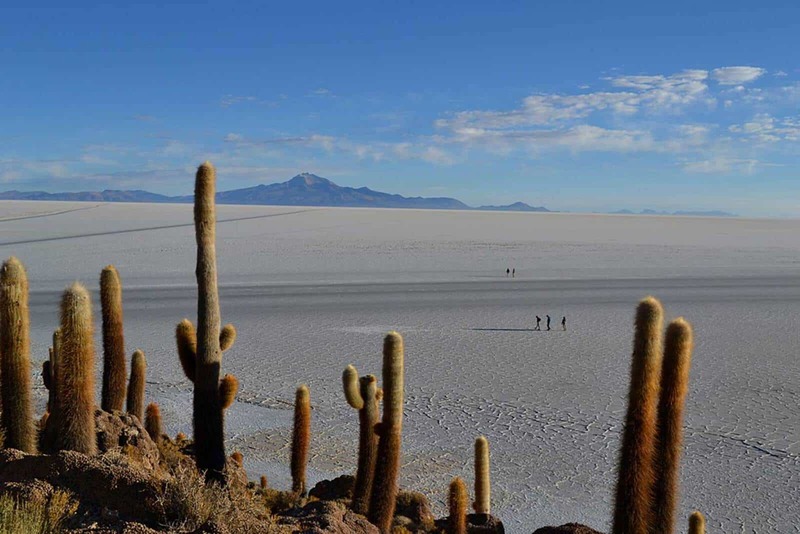 Regardless of how fascinating its history is, people now go to Incahuasi for sunrise as part of a multi-day Salar de Uyuni tour. There’s a tourist office on the “island,” as well as souvenir shops. Tour operators usually set up small tables at the base of the hill for breakfast. Isla Incahuasi makes the very early wake up call worth it (4am!). Indeed, there is nothing more magical than seeing the endless salt plain being slowly bathed in daylight, with giant cactus beside you witnessing the splendor of the rising sun. We saw the Andes from the airplane first, when arriving in Santiago de Chile. It was so beautiful. We knew we had to get there, so we rented a car, packed the kids, and drove. It’s a short drive (1 hour or so), and it’s the most beautiful thing. We stopped every 5 minutes or so to take a photo after we got to the Andes because every view was more stunning than the last. This photo was in one of those stops. That place is magic. The best way to see it is by renting a car. No tour will give you the freedom to stop when you want and, trust me, every stop is worth it. We were there during summer, and besides the lack of snow, it was perfect. 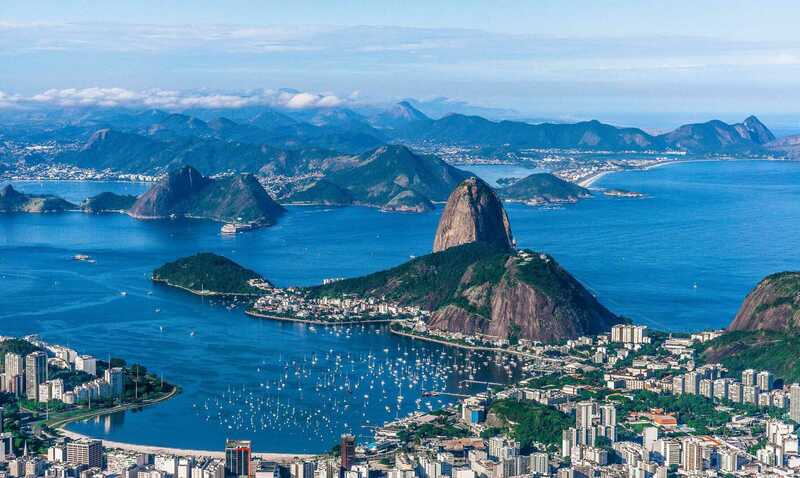 I’ve always wanted to visit Rio de Janeiro’s iconic sights, such as Ipanema Beach and Christ the Redeemer. When I stumbled across an inexpensive business class ticket just ahead of the 2016 Olympics, I immediately booked my plane ticket on a whim. I only had two in Rio so I needed to be strategic about fitting it all in. The weather wasn’t great on my first day in Rio, with constant drizzle and fog, which completely obscured the surrounding mountains. I headed up Corcovado mountain anyway, hoping to get a glimpse of Christ the Redeemer once I reached the top. Much to my dismay, there was zero visibility, with no sign of the weather clearing. When I woke up the next morning, it was pouring and the chance of having a nice view before my flight left at 8pm seemed slim. Later in the afternoon, the weather cleared, although I debated if I should head to Corcovado again and risk missing my flight. I decided to go for and was rewarded with jaw-dropping views over Rio. The expansive view over the city was worth the risk of potentially missing my flight. I didn’t feel like I had really visited Rio until I saw Christ the Redeemer Thankfully, I made it back down the mountain with plenty of time to spare. 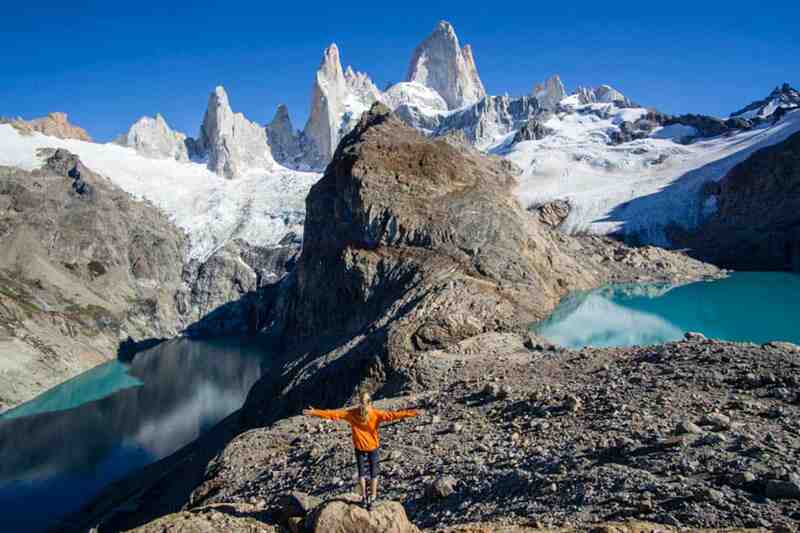 The Fitz Roy Trek in El Chalten is one of the best hikes in South America with breathtaking views. Enormous rock towers slightly covered with snow and glaciers with a turquoise lagoon underneath. It can’t get any better than that. It was our welcome to Argentina. We’ve come here from the Chilean side of Patagonia. It only involved a few hours boat ride, hiking 24km with all our staff through the forest (we crossed the Chile-Argentina border somewhere in the middle), then boat ride again and hitchhiking to town. Most of the people, however, take the easier route and come here by bus from El Calafate in Argentina. The best way to enjoy the view of the Fitz Roy is to start hiking at dark, catching up a sunrise with a view of the Fitz Roy massif and arriving at the lagoon before the crowds. If you’re lucky and it’s hot (not windy as usual), you can enjoy a quick swim in the glacial lagoon and be back in town for a beer before sunset. This view is from one of the most beautiful yet dangerous places I have ever been. Venezuela is sadly a no-go for many visitors, and for good reason. The turbulent political situation there has made travelling ‘normally’ an impossibility, but I was lucky to go last year. 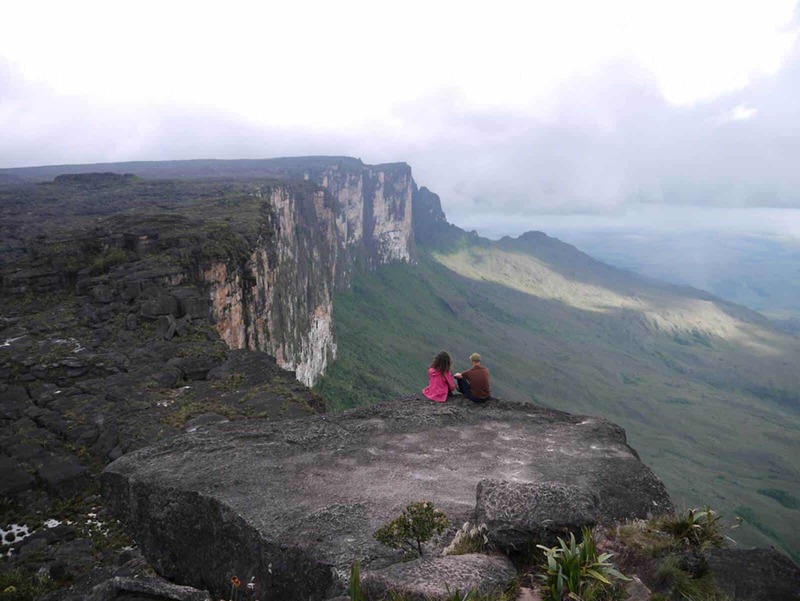 Roraima is one of the Tepuy flat-topped mountains in the South East of the country and sits on the border of Venezuela, Brazil, and Guyana. Hiking to the summit takes 3 days, leaving from the town of Santa Elena, and we spent two nights camped on the flat, rocky surface, exploring the unique eco-system that thousands of years of isolation brings. Deep pools, crystal caves, and eerie views like this above the clouds were unlike anything I’d seen before. It certainly wasn’t an easy trip to get here, but that view was definitely worth it! 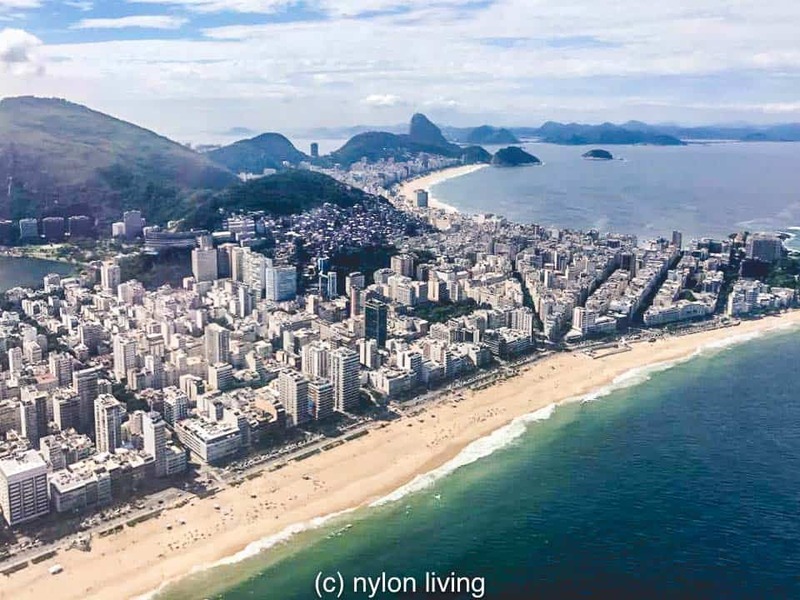 This view of Copacabana beach in Rio de Janeiro shows off its wide, white sands for which it is justifiably famous. On a nice hot day, this beach is packed with locals relaxing on the sands and enjoying dips in the cool water of the Atlantic Ocean. The beach is informally marked with signs and entire neighbourhoods congregate around specific markers. That way people can hang out with their friends and family just like it was an extension of their own back yard! Vendors weave in and out of the crowd selling everything from bikinis and beach towels to freshly grilled fish and drinks. 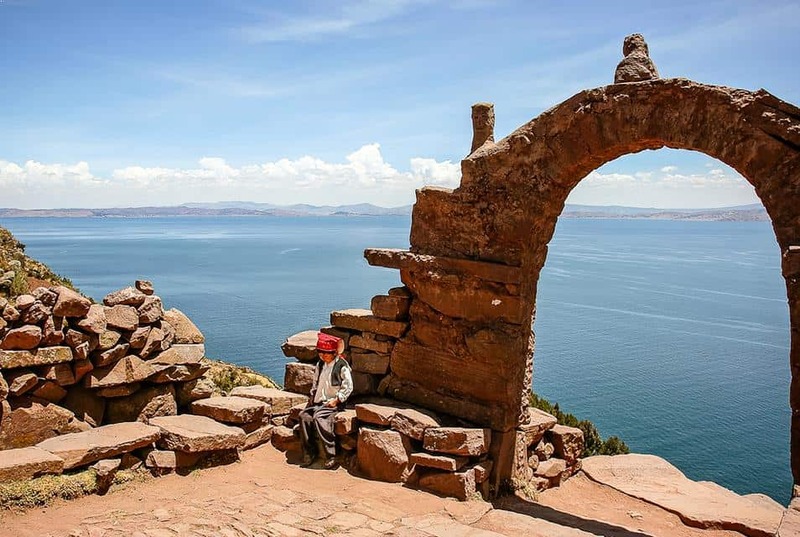 Over 13,000 feet above sea level in the middle of Peru’s Lake Titicaca is where you’ll find the remote island of Taquile and the indigenous Quechua community that lives there. The island is rural but can be visited by outsiders who catch a ferry boat from Puno, the closest city on the lake in southern Peru. The only way to see the island is by hiking along cobbled pathways to the town located at the top. The walkways are flat but with a steep ascent, and it’s a good cardio workout. 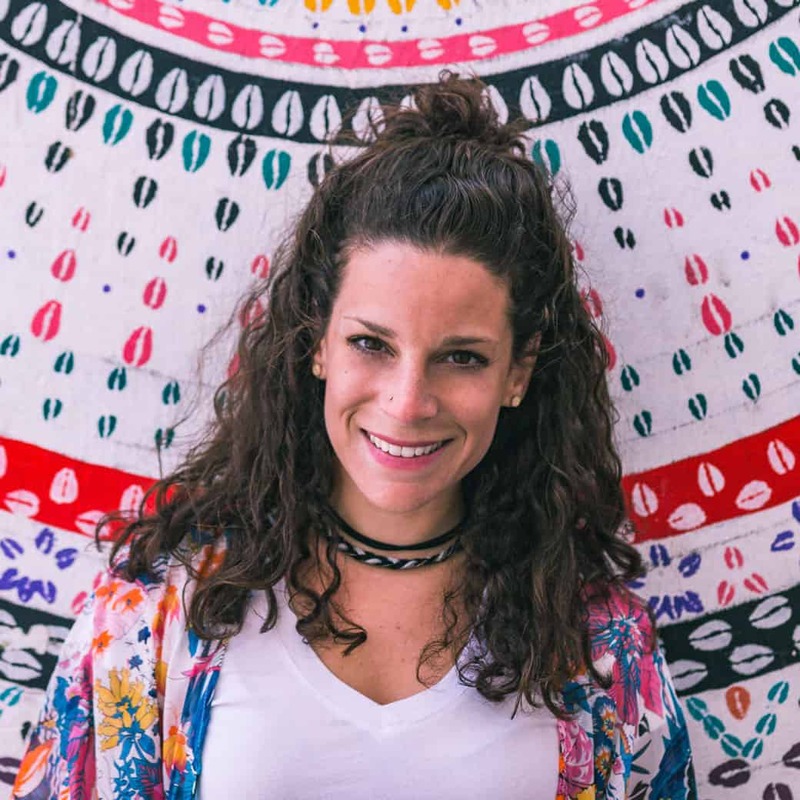 But once there, you can chat with the locals if you speak Quechua, purchase some of their intricate handwoven goods they’re known for, and grab some local food before heading back down to the boat. The desolate landscape and lack of trees rewards you with incredible views from the top of the island straight down to the water. In one view, you’ll see children shepherding flocks of grazing llamas, and old men sitting and knitting on rock walls while the old women till the terraced fields by hand. It’s one of the world’s most interesting cultures, with epic views to match. After five days walking along muddy paths, crossing rivers and climbing steep rocks, we finally made it to the top of Mount Roraima. Located in the Venezuelan Sabana, this majestic table-shaped mountain also serves as the triple border point of Brazil, Guyana and Venezuela. Once we got to the top of the Mount, we realized that we’d never seen anything like it. The landscapes up there seem as though they’ve been taken from another planet. It’s a labyrinth of strange rock formations and huge cliffs in all directions. While the views are impressive from anywhere on the top, I remember “Mirador del Guacharo” as the craziest spot. 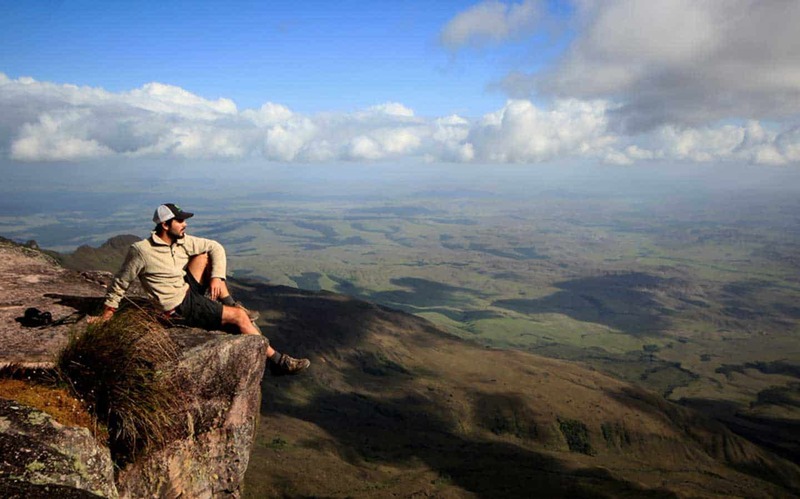 You can sit right on the edge of the abyss and enjoy an unforgettable vista of the endless savannah. The problem is that it’s 400 meters high, so be careful if it’s windy … or even if it’s not windy. Just be careful! Best of all, because Venezuela is not a touristy destination, we were there by ourselves. Watching the world from above with no other people around – my favorite viewpoint in the world! You have only 2 options to get to the top of this amazing mountain, walking for 3 days or taking a helicopter. 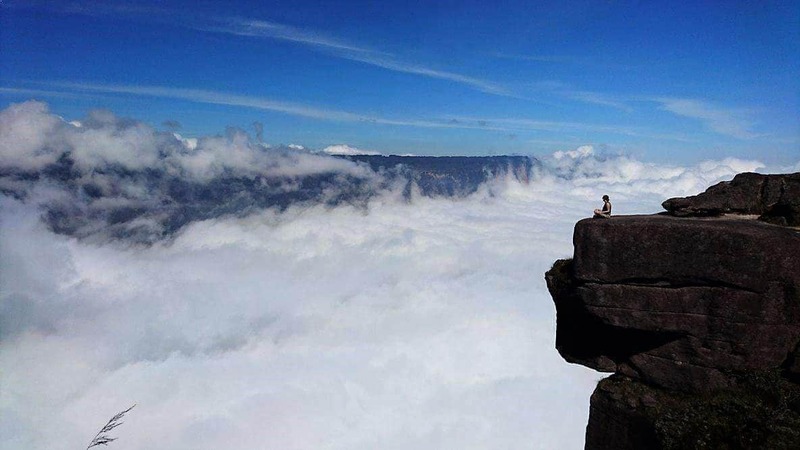 Mount Roraima is the highest of the many Table Mountains dotting the grasslands of Venezuela’s Grand Sabana. Unique rock formations, quarts fields, insect-eating plants and many high waterfalls create some of the most spectacular and unique scenery on earth. It took us 3 more days of walking to explore all the viewpoints from this unreal mountain! Maverick Rock is the highest point on the mountain.The top of the mountain is shared by three countries; Venezuela, Brazil, and Guyana, it can only be hiked from the Venezuelan side. Some of my favorite viewpoints in The America’s hail from Oregon, where I just spent my summer! Here are views from The Painted Hills and South Sister, both which are near Bend, Oregon. The Painted Hills make you feel like you stepped onto another planet! What’s your fav viewpoint on this list? Pin this if you loved it! Hi, Nina! This is an amazing article! You put together a really impressive list, I can only imagine how hard it was to choose best ones. There are so many! I didn’t know that little people actually hike in Grand Canon, that`s an interesting fact. 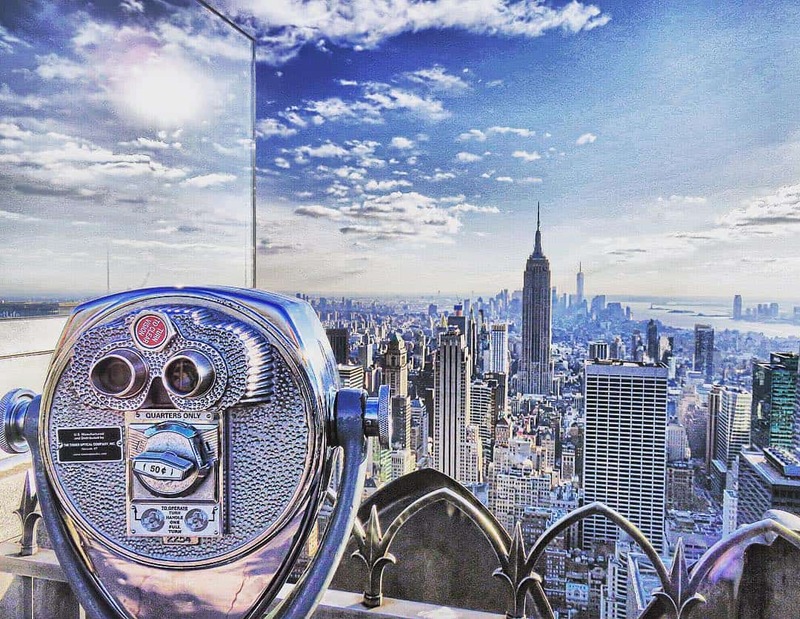 I was wondering, how much time it takes you to visit all of these amazing viewpoints? Quite a list of great places to be in the Americas and all of them very beautiful. Some of us only get to travel through reading blogs such as this one. Keep up the good job. Soooooo many more amazing places to be explored;-). Thank you for another comprehensive list and guide! So much inspiration here! Proud to be a part of this beautiful roundup. This is stunning Nina! Love all of these photos, what a beautiful collection! Some of my favourite places features in here.